Barry Bashore, Inc. is a full service Pennsylvania based carrier currently providing services to a customer base primarily east of the Mississippi River. However, our primary areas of service include Pennsylvania, Ohio, New Jersey, New York, New England, Virginia, Maryland, Delaware, West Virginia and North Carolina. We specialize in full and less-than-truck load flatbed transportation. We also have several vans and a stretch trailer to help serve our customers needs. We realize that in order to be competitive in today's transportation market, we need to provide our customers with a level of professional service that is second to none. We achieve this by offering our customers safe and professional service that is cost effective. We take pride in our record of on time deliveries and helping our customers meet their just in time delivery needs. We also believe that one of our greatest strengths is in the employees we hire. 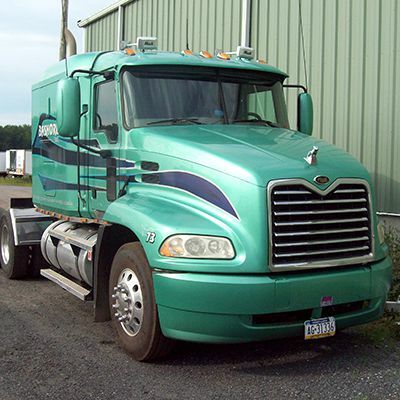 Our drivers and staff pride themselves on their professional attitudes and their knowledge of the trucking industry. This enables us to provide the best service possible to our customers and their customers.